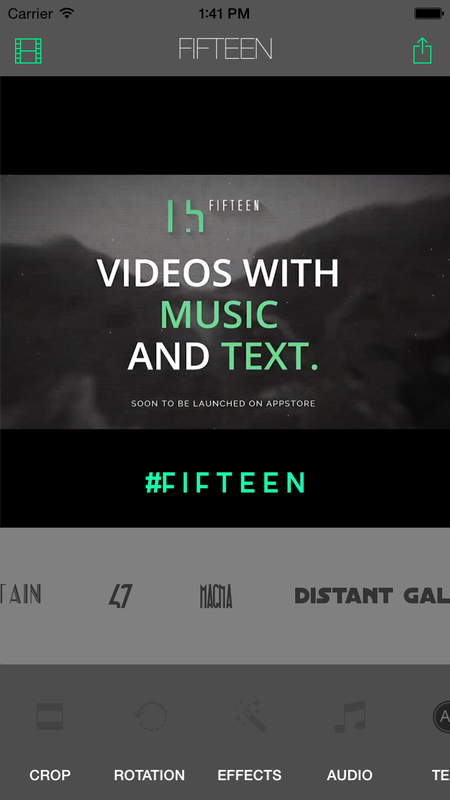 Fifteen lets you add cinemascope crops, music from your iTunes library, and text with many fonts to choose from. It also lets you tweak the properties of your video. Such as birhghtness, saturation, sharpness, vignette and many more. Fifteen is on it's Beta stage and it will be soon released on Apple AppStore. Be sure to subscribe to get a heads up when it is available to download.